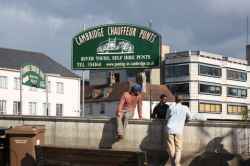 Cambridge Chauffeur Punts is a tour guide providing visitors with information on various aspects of the local area. Based in Silver Street, Cambridge Chauffeur Punts is a tour guide. Cambridge Chauffeur Punts is in Silver Street Silver Street. You can view a list of neighbouring businesses by going to the Silver Street page. If you would like a list of other tour guides & sightseeing excursions sports, leisure, entertainment listings throughout Cambridge, please visit the Tour Guides section of this website. Note: the pin is positioned at the postcode centre, and may not correspond with the precise location of Silver Street Bridge, Silver Street.